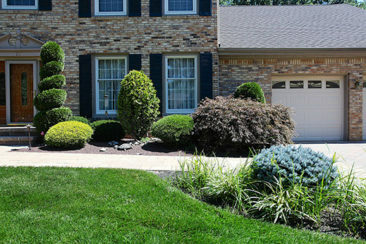 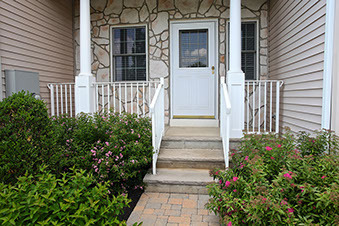 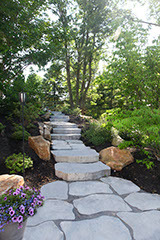 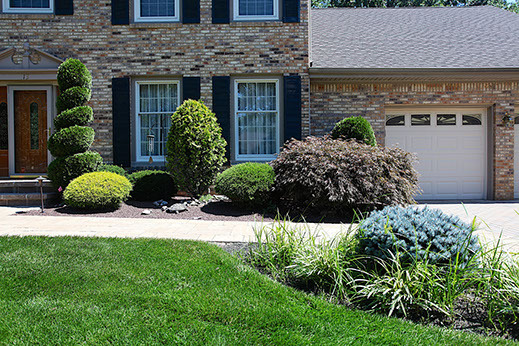 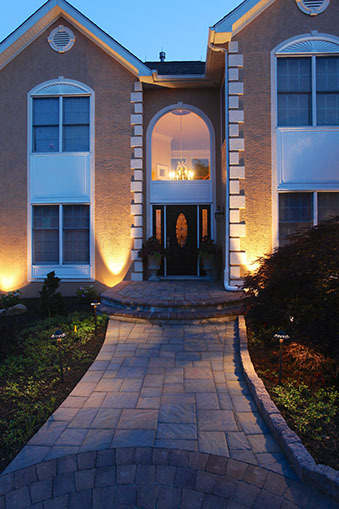 Walkways can be a simple path through a garden or an elaborate entry way into your home. 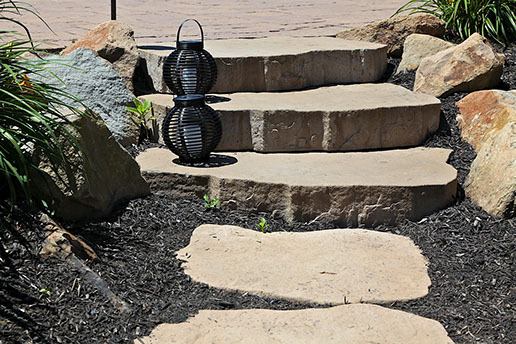 Greenview Designs builds all types of walkways to fit your style or need. 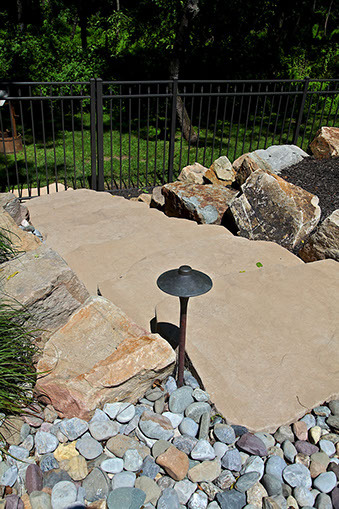 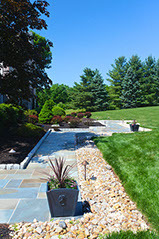 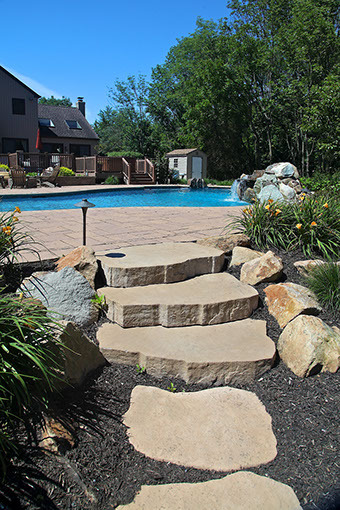 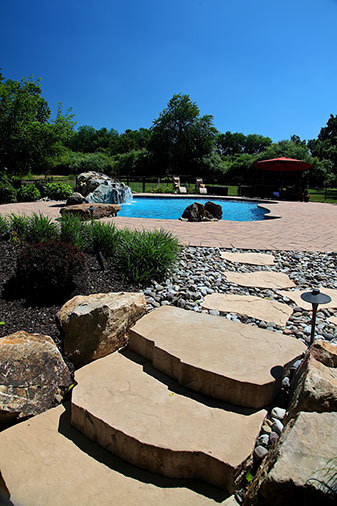 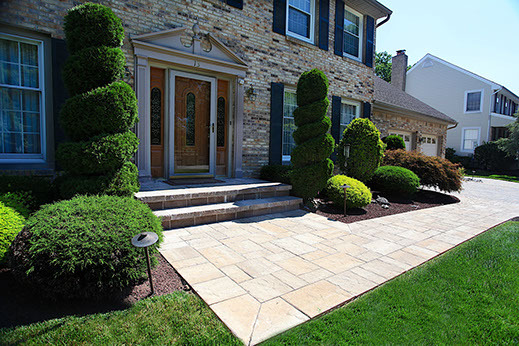 Walkways usually come in three styles which are paver walkways, wet-laid natural stone walkways, or stepper stone walk ways. 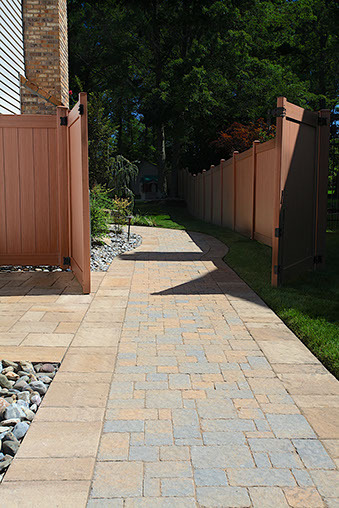 There are many textures, colors, patterns, sizes, and shapes of walkways. 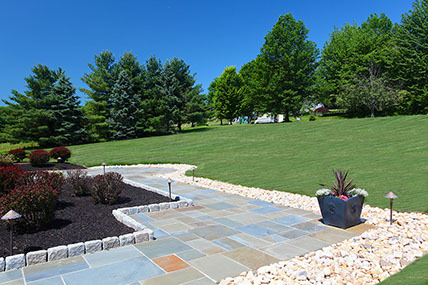 Take a look at some of the different styles of walkways that Greenview Designs can build for you. 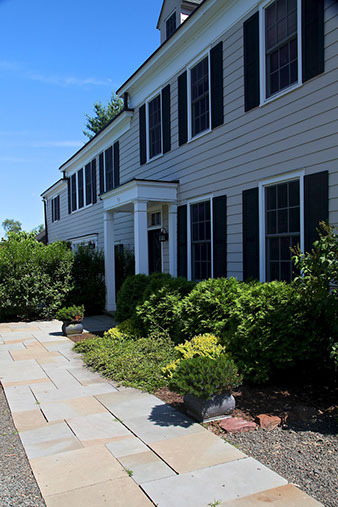 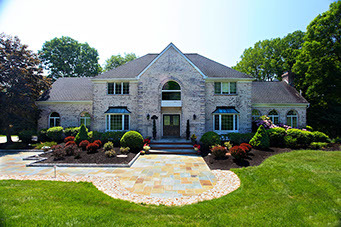 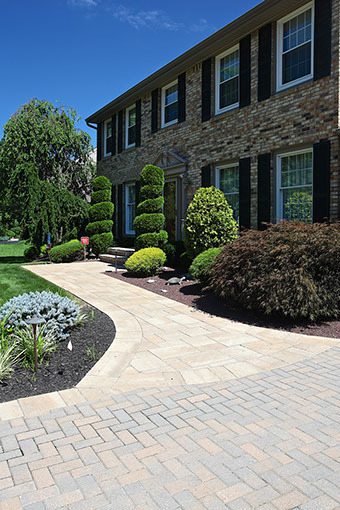 Paver walkways are a very popular choice for their versatility, durability, smoothness and curb appeal. 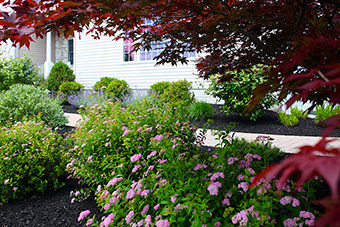 They come in many styles, colors and textures. 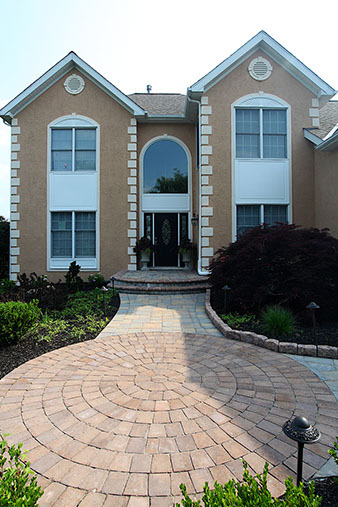 The versatility of pavers allows for a lot of creative design. 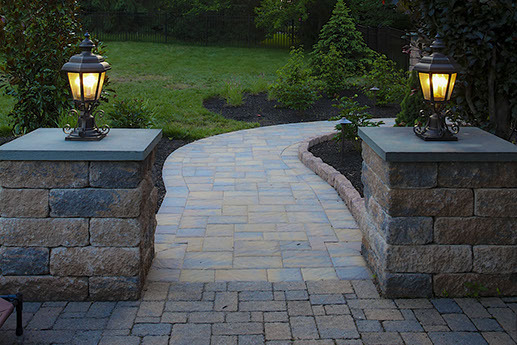 Walkways can range from rustic to elaborate designs with different colored borders and patterns. 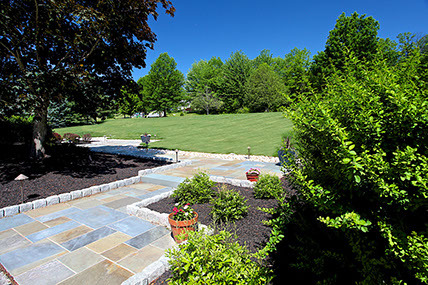 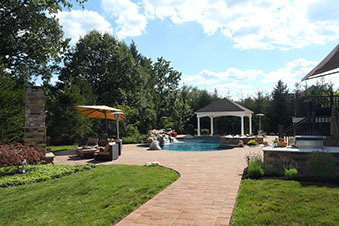 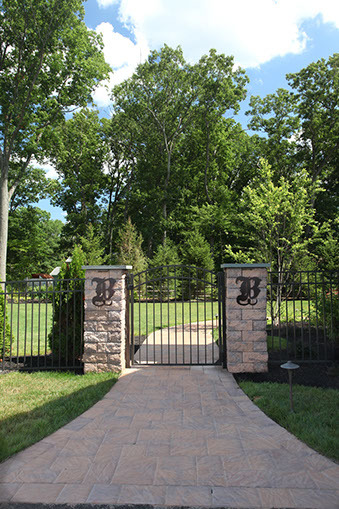 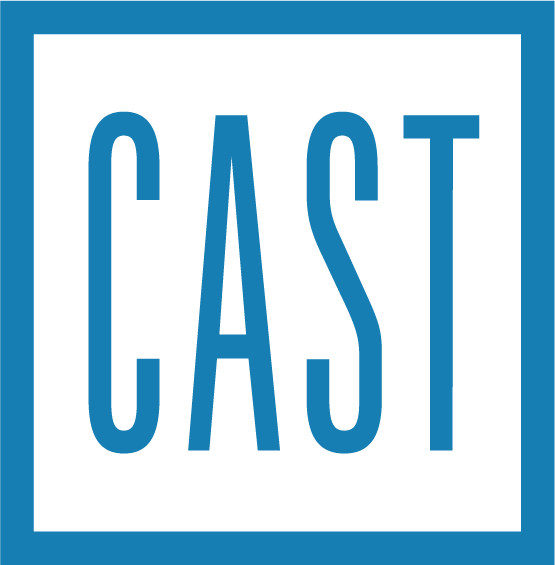 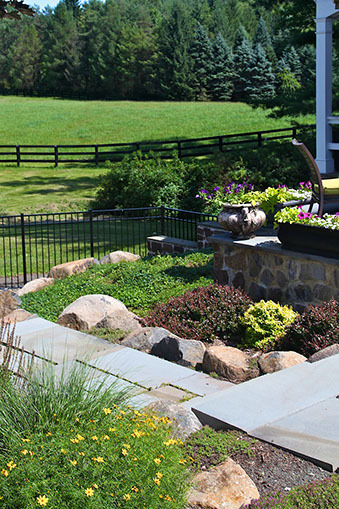 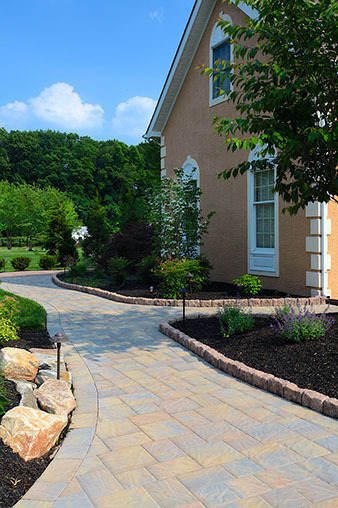 There are three major brands of pavers including Techo-Bloc, EP Henry, and Belgard. 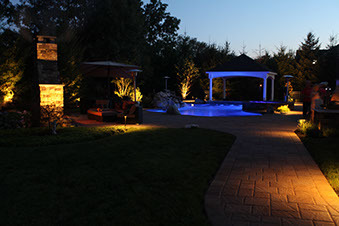 Greenview Designs is a Certified Installer by all of these major brands ensuring a professional job that is built to last. 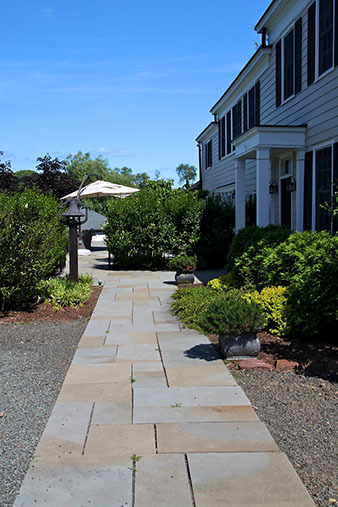 This walkway was built using Techo-Bloc Blu 60 slab pavers. 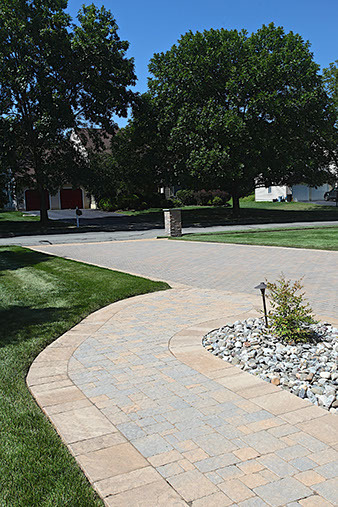 These pavers are slightly textured to give a more natural look, but also come in a more modern smooth finish. 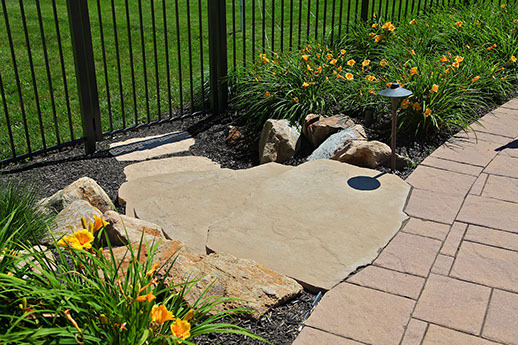 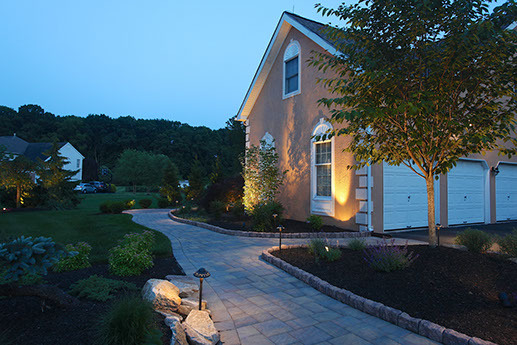 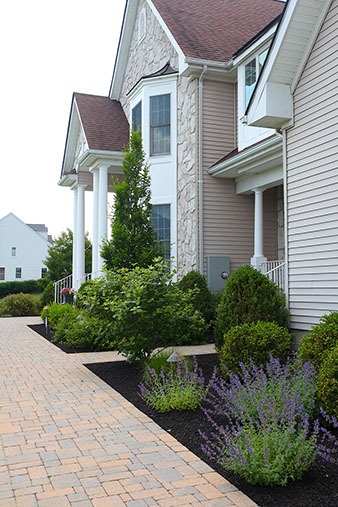 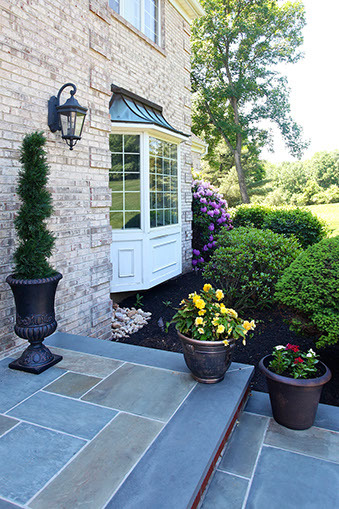 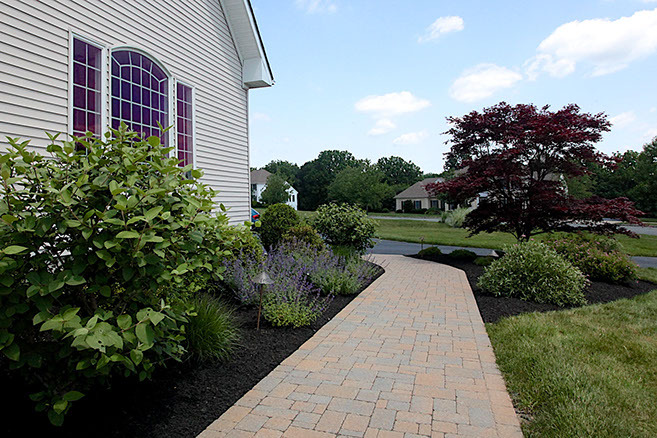 This walkway adds curb appeal as well as functionality because of its durability over time. 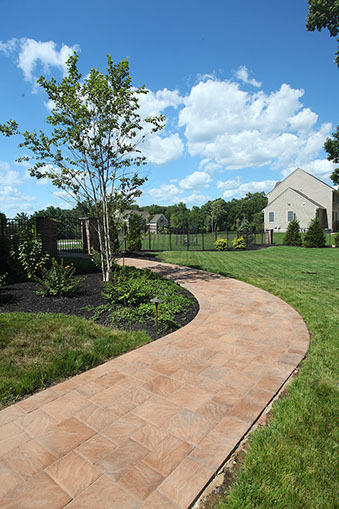 This walkway was built using EP Henry Bristol 1 pavers. 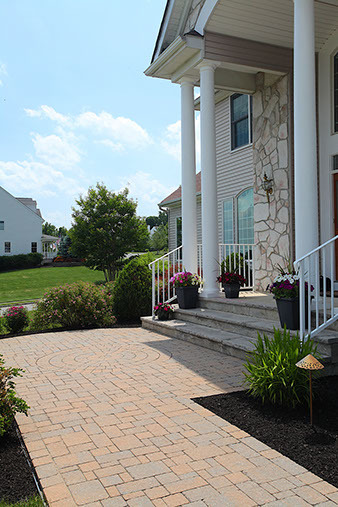 This fairly large walkway leads you from the driveway through a gate with piers down around to the patio and pool deck in the back yard. 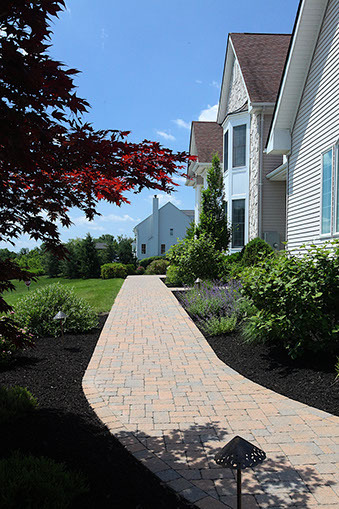 There is a slight texture to this paver and their individual sizes are medium which creates a pattern that scales perfectly for a walkway of this size and width. 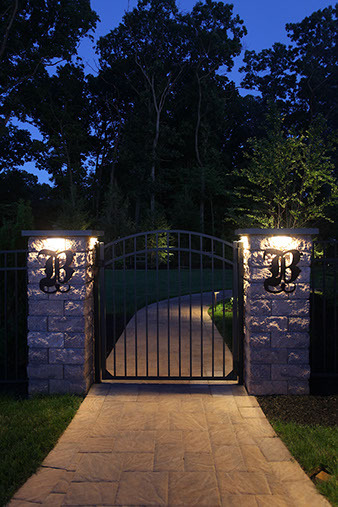 There are path lights which make this walkway come alive at night.